Greatroom design w/10 foot long bar for entertaining in the kitchen area. Hot trend "Black Stainless" Appliances includes Convection Downdraft Jennaire Range, Jennaire Dishwasher/ stainless interior. Best of all - Gallery Walls with custom lighting! 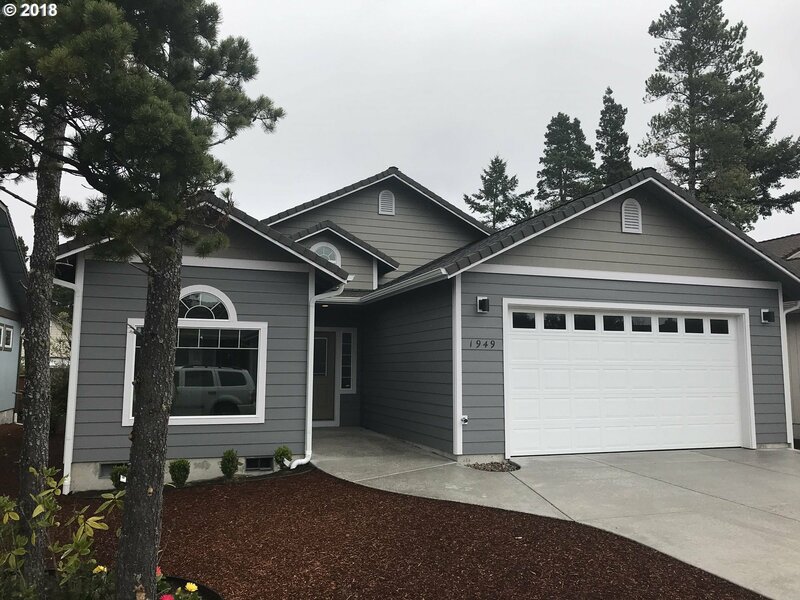 NEW CUSTOM HOME built for the Oregon Coast! All stainless steel exterior fasteners, plywood subsiding with Aquateck house wrap. All fiber cement finish siding. Kitchen has granite countertops & both baths have quartzite countertops. Vaulted great room kitchen area. Jenn-Aire down draft range in kitchen. Located on quiet cul-de-sac of 10 homes all built by Wm Johnson Const, Inc. Sellers are licensed Real Estate brokers in Oregon. Amenities Neighborhood Features: 10 Home Subdivision On Cul-De-Sac.